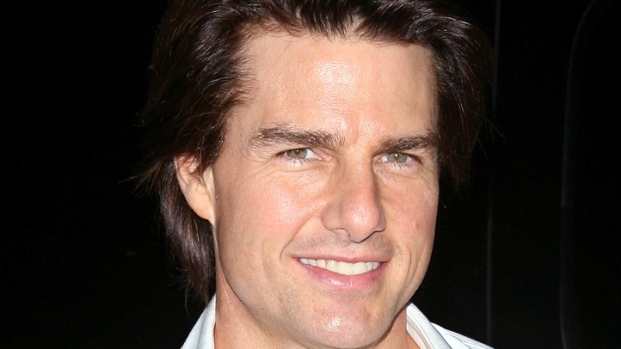 Tom Cruise in "Rock of Ages" has us pondering some of Hollywood's most-unexpected vocal turns. Remember these? Tom Cruise gave one of the greatest lip-syncing performances in Hollywood history as part of his star-making turn in "Risky Business." Clad in a blue dress shirt, white socks and a pair of tighty-whities, and armed with a fire poker doubling as guitar and mic, Cruise slid, jumped and befouled his couch to the strains of Bob Seger and the Silver Bullet Band's "Old Time Rock and Roll." Now Cruise can be seen--and heard--singing for real starting Friday as Stacee Jaxx, the legendary bad-boy rocker at the center of "Rock Ages," the film adaptation of the hit Broadway musical. In it he'll be lending his vocal stylings to such hair-band hits as "Don't Stop Believing," "Every Rose Has a Thorn" and "I Want To Know What Love Is," on which he does a duet with Malin Akerman. Joaquin Phoenix and Reese Witherspoon in "Walk the Line"
When you're cast as Johnny and June Carter Cash, two of the greatest country music artists of all time, all you can hope for is to get out alive. Before Phoenix got the part, he had never played guitar; when Witherspoon learned that she would have to sing before large audiences for the film, she tried to back out of the role. Nonetheless, both actors wound up with Oscar nominations - with Witherspoon winning Best Actress - and Cash's longtime friend and collaborator told Phoenix that "Walk the Line" had "done Cash proud." By any purely aesthetic measure, Murray's version of Roxy Music's "More Than This" is, well, lacking. But it's so key to this career-reinventing performance by Murray, who brilliantly embodied the ironic detachment of a past-his-prime celebrity in the midst of an existential crisis. And it's a great song. Ewen McGregor in "Moulin Rouge"
After listening to him and Cameron Diaz tackle "Beyond the Sea" in "A Life Less Ordinary," the idea of McGregor singing had little appeal. Nonetheless, he was cast opposite Nicole Kidman in "Moulin Rouge," a musical about starred crossed lovers. While he's no belter, he acquitted himself rather well on Elton John's "Your Song," and "Come What May," which ended up being the #8 song in Australia that year. Pete Boyle and Gene Wilder in "Young Frankenstein"
What Boyle's and Wilder's take on "Puttin' on the Ritz" lacked in technical proficiency, it more than made up for with heart and comedic genius. Wilder, of course, had shown off his chops years earlier in "Willy Wonka and the Chocolate Factory," but Boyle was a revelation. Bonus points: This surely was the inspiration behind the hit cover by Taco that came a few years later. 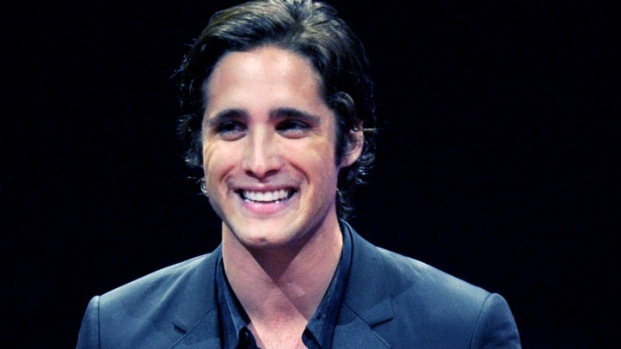 Diego Boneta Joins Julianne Hough and Tom Cruise in "Rock of Ages"
Newcomer Diego Boneta stars opposite Tom Cruise, Alec Baldwin, Catherine Zeta-Jones and Julianne Hough in this summer's highly anticipated "Rock of Ages." After accepting his Rising Star Award at CinemaCon, Diego tells how his big screen dream came true. Jack Black in "High Fidelity"
Before 2000, Jack Black was a classic "that guy," having played a sweaty psycho republican in "Bob Roberts," an evil pilot in "Waterworld," and an arms dealer in "The Jackal." Then he got his break, landing the part of John Cusack's friend/employee in "High Fidelity." Throughout the film, Black's character boasts of his musical prowess, and when he finally takes the stage at the end of the film, people were stunned to hear a rousing rendition of Marvin Gaye's "Let's Get It On," a cover so good many assumed it was lip-synced. Don't nag us by pointing out that he'd been singing for years on "Tenacious D"--that performance in "High Fidelity" came out of nowhere. John C. Reilly and Renee Zellweger in "Chicago"
Reilly's singing-on-film career followed a steady climb from the tone-deaf Reed Rothchild in "Boogie Nights" to singing a small part of "Wise Up" in "Magnolia" to doing "Mr. Cellophane" in "Chicago" to a Grammy nomination for the soundtrack to "Walk Hard: The Dewey Cox Story," a riff on "Walk the Line," for which he recorded an album's worth of country songs. But "Mr. Cellophane," a Broadway classic, was his biggest challenge and he crushed it. Zellweger, who had never sung before, earned raves for her work as Roxie Hart, Reilly's killer housewife with big dreams, and was good enough that she was later cast as a singer in "My Own Love Song," in which she performed songs written by Bob Dylan. 10. Heath Ledger in "10 Things I Hate About You"
Ledger's first role in an American film found him belting out the Frankie Valli standard "Can't Take My Eyes off of You" over a PA system, in an effort to woo Julia Stiles, in this surprisingly good rehashing of Shakespeare's "Taming of the Shrew." Honestly, if you serenade a girl like that, you don't have to sing half as well or look half as good as Ledger to close the deal.